Discover the missing ingredient to a fulfilling life with Curious? 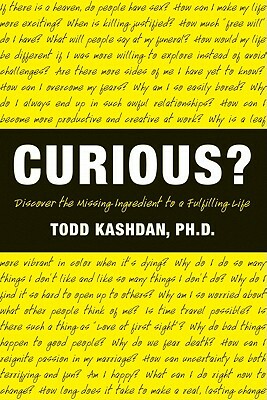 In this fascinating, enlightening volume, renowned psychology professor Todd Kashdan reveals how cultivating curiosity is the road to happy, healthy, and meaningful living and the true key to falling in love with life. Todd Kashdan, Ph.D., is a clinical psychologist and professor of psychology at George Mason University. His work has been featured in the New York Times, Wall Street Journal, and Washington Post, and on NPR and PBS. He lives with his wife and twin daughters in Fairfax, Virginia.